Did Alexa Eavesdrop On 2017 Double Murder in Farmington? It’s not up to me to question your choice in Christmas gifts, but do you really need something that will be listening to you, perhaps when you don’t want it to? If this column looks familiar, that’s because we first published it in January of 2017. 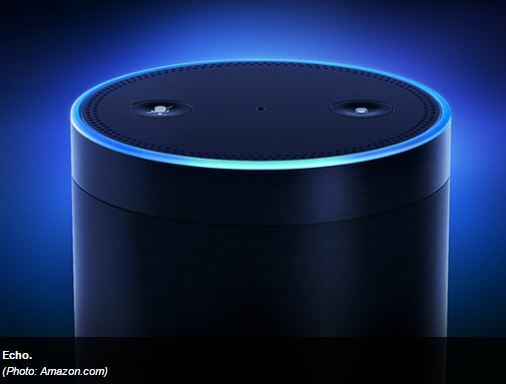 The topic became timely again by recent news events in which a judge ordered Amazon to release any Echo recordings made during the time period of the murders of two women in January 2017 in Farmington, N.H., so we have updated it. I do hope Santa will be good to you this year. After all, you’ve probably worked very hard during the past year, and you’ve stayed on the “Nice” list, and as a result you might receive some nice new toys to play with. Are you expecting an Amazon Echo? How about a virtual reality headset? Or if you were really, really good, your very own drone? If you find any of these three wonders under your tree, we have to talk. There are some things you need to know. Let us not delve further into what I might find under my tree this year, but in keeping with the theme of this column, let us talk about what you might find under your tree that could seriously impinge on your or others’ privacy. First off, I want to remind you how valuable you are. Your parents probably told you this, or still do, and it might sound odd that I, a stranger, am also telling you this. But it’s true. You are so valuable that companies want to find out all kinds of things about you. They are spending millions of dollars trying to find out whatever they can about you, not so they can cherish and adore you like your parents do (or so we’d all like to think), but because they can sell you more stuff. This is why I’d like to first address the Amazon Echo. We are now entering the Twilight Zone, so fasten your seat belt. These voice-activated devices that connect to the Internet are pure genius. They play music at your command, answer questions, read audiobooks, tell you the news, and control lights and compatible devices using smart home technology. You can even use it to call for a pizza or Uber driver. Alexa, tell me about nutrition in the first trimester. Alexa, tell me the best baby book ever written. Alexa, should a baby sleep on its stomach? And someone (most likely a computer program) goes, “Ka-Ching! They must be having a baby!” And from there on out, every time you sign onto the Internet, you are swimming in babies. Be thankful, at least you didn’t ask a lot of questions about actor Marty Feldman. There’s also another nagging issue with Echo. There seems to be some debate about what the device is actually hearing, and when. The wake words (OK, Alexa) are supposed to turn the unit on, but if you had been following the news out of Arkansas last year, an intrepid prosecutor was trying to find out if maybe Amazon had information on file regarding a man’s death in 2015 in a hot tub. Amazon wouldn’t initially comply with a search warrant, citing privacy rights, after the prosecutor sought to determine if anything was recorded around the time of the murder. An Echo was in the home, playing music. The Amazon Echo is always listening for its wake word, but the issue, as I understand it, is that the user’s voice is fed into a processor somewhere, so what exactly is Amazon capturing? If it’s “always on,” what is it hearing? (Amazon says it does not listen to or record private conversations.) Amazon does keep past recordings which it says improves accuracy for fine-tuning the speech recognition software. So the November 2018 update is this: The Arkansas case took an unexpected twist shortly after this column was published back in early 2017. The case went away, because the prosecutor decided to drop the charges: Not enough evidence. The man had such a high alcohol content in his blood that it was possible he may have drowned on his own in that hot tub. In Arkansas, the Echo recordings did not become an issue, even though Amazon, Echo’s owner, agreed to provide them after the defendant agreed to the prosecutor’s request. The latest case involves the January 2017 murders of two Farmington, N.H., women. In that case, headed to trial in May, the senior assistant attorney general prosecuting the man charged in the crime asked Strafford County Superior Court Judge Steven M. Houran to order Amazon to release any Echo recordings made during the time period of the murders. The judge issued the order to Amazon, also directing that they provide details on any cellular phones paired with the Echo. It remains to be seen how Amazon will handle the latest request, but it indicated in the Arkansas case that it wouldn’t do so unless it had a “valid and binding legal demand properly served on us.” Since the company was willing to go along back then when the defendant signed off, it seems likely the New Hampshire request will be granted and will give us more insight into exactly what Alexa hears and when. As to virtual reality googles, or VR, privacy is becoming a concern as well. Such technology is relatively new, but one headset company, Oculus VR, has admitted that it collects some information about its users so it can improve its services. What kind of information, you ask? Apparently, your eye movements can be tracked while you are wearing the device, and these personal details – about what you look at and what you don’t look at – can be saved on a server somewhere. VR now is pretty basic, but what about when the technology improves? The user’s every interaction and motion can be tracked. This becomes especially more intriguing when you realize that Oculus was bought by Facebook a few years ago. How will they use the information? Drones, or flying things that have no person on board, have been with us for a while. We didn’t call them drones back when, but years ago, my wife and I would constantly be buying our son some contraption that had a propeller and a remote control unit that would last all of twelve seconds from the time it came out of the box to the inevitable crash landing. I could with great accuracy predict the time of the onset of the temper tantrum that would involve the gnashing of teeth and plenty of tears accompanying the explosion of parts on the ground. (My son was pretty upset about it, too.) But these days, we have the ability to affix a camera to these things, and that is why they are attracting so much attention. The new drones can lock on a person and follow him or her around. More likely, commercial enterprises will be using them to survey real estate, take aerial photos of a scene or event, and check out anything from a bad roof to flood damage. Drones have plenty of legitimate uses. – You must stay below 400 feet and have the drone within your direct line of sight at all times. – You cannot fly directly over people, and this includes at stadiums and public events. – You cannot fly within five miles of an airport without contacting the airport and air traffic control tower first. – You cannot fly at night. – And you cannot fly near an emergency, such as a fire or a police action. There are other rules as well, which if you own a drone, you had better be familiar with them. And if you are using your drone, or UAS – unmanned aircraft system – in FAA parlance, for work, you are subject to a whole bunch of commercial rules, chief among them the fact that you must hold a pilot airman certificate with a small UAS rating or you must be under the direct supervision of someone who does. The FAA does give waivers for some of these rules, so check out the FAA website first. Go here: https://registermyuas.faa.gov to see if yours must be registered. Generally, if it weighs over eight ounces, it must be registered (cost of $5). Closer to home, New Hampshire state Reps. Neal Kurk, Renny Cushing, Paul Berch sponsored a bill (HB97) in the 2017 legislative session, regulating the use of drones by government agencies and individuals. Their bill would have required tougher state regulations on drones, especially in regard to police work, but it never made it out of the senate committee. It was voted inexpedient to legislate in May of 2017. Kurk tried again this past session, with HB1759, but that bill went down in House committee this time, back in March. Among the tougher restrictions those bills were seeking in New Hampshire, a lot of them applied to government authorities, such as police, who must obtain a search warrant if they are using a drone for surveillance. Certain uses don’t require a warrant: search and rescue operations, threat of imminent terrorist attack, and other emergencies, including preventing escapes and scoping out a dangerous situation. I thought Kurk’s bills had some good protections for private citizens, especially holding operators liable if someone has a reasonable expectation of privacy (within their own home or who is not observable from a public place) and is photographed from one. He is retiring after 16 terms in the Legislature. We’ll see if anyone else takes up the cause. Bob Charest has been in the news business since 1977. 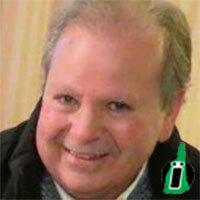 He has worked at newspapers in Massachusetts and New Hampshire as a reporter and editor. A graduate of Boston University, he has consulted with InDepthNH.org on editing and grant proposals since before its founding in 2015. He usually writes on topics related to the intersection of technology and privacy, and how the choices we make online, or in our everyday lives, can seriously affect our entire world.